An entry-level integrated amplifier from Yamaha and home-theater receiver from Pioneer give budget-conscious fans lots to cheer about. The great thing about home audio is it doesn’t take long for budget-conscious consumers to inherit technologies that just a few years ago commanded a premium. 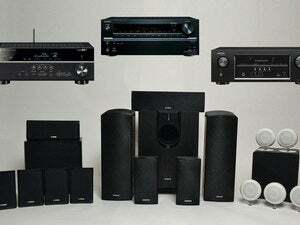 Yamaha’s entry level R-S202 stereo receiver and Pioneer’s VSX-531 multi-channel receiver demonstrate that trend. 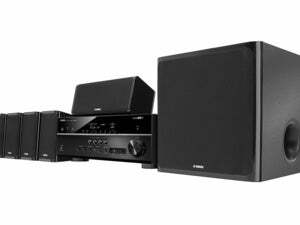 Yamaha’s R-S202 stereo receiver ($180 MSRP, but already discounted to $150 at Amazon and on Yamaha's website) delivers a traditional stereo listening experience with the added convenience of Bluetooth streaming. 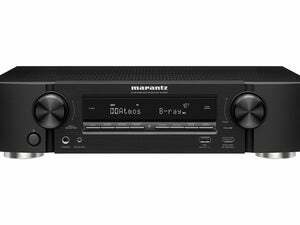 While the R-S202 stereo receiver is an entry-level product, Yamaha says it’s engineered around the same basic concepts of the company’s flagship Aventage AV receiver series. The R-S202 uses a discrete amplifier design, minimized signal lengths, and a high-capacity power supply that the company says delivers 100 watts into two channels (8 ohms, 40Hz to 20 kHz, 0.2 percent THD). Paired with some entry-level bookshelf speakers and subwoofer, you could conceivably have a complete 2.1 stereo system for less than $500. The R-S202 can support two sets of speakers. You can set the R-S202 to play only the primary (A pair), secondary (B pair) or both A+B speaker pairs to run music in the main listening room and another room in the house at the same time. Yamaha’s R-S202 stereo receiver adds Bluetooth wireless music streaming. Don’t look for any digital inputs, however; the R-S202 is an analog-lover’s stereo receiver with four sets of analog inputs on the unit’s rear panel. There are no options for streaming music over your network, either, but you can stream from local devices that support Bluetooth. If multi-channel music and movies are more your thing then Pioneer’s $270 VSX-531 has you covered. This 5.1 channel, Bluetooth-enabled AV receiver is built for the future of home entertainment. It is rated at 80 watts per channel, with two channels driven (8 ohms 20Hz to 20kHz, THD 0.08 percent). The VSX-531 features UltraHD (4K/60p/4:4:4) pass-through with HDCP 2.2. HDCP 2.2 is a prerequisite for watching copy-protected UltraHD content. The VSX-531 is also compatible with HDR (high dynamic range), a technology that drastically expands the peak brightness, providing a higher contrast between light and dark images and more detail in bright scenes. Rear view of Pioneer’s VSX-531. On the digital music front, the VSX-531 comes with built-in Bluetooth and will stream music from any compatible device. A front-panel USB port allows you to plug in a thumb drive and play back all your favorite music. Here again, however, network connectivity is not an option. Whether you’re a two-channel or multi-channel fan on a budget, these new receiver models from Yamaha and Pioneer have you covered.